One of the seminal live films of guitar god Jimi Hendrix, Jimi Plays Berkeley, has been restored and expanded for a UK DVD and Blu-Ray release on 9 July. The film was originally released in 1971 and documented the events surrounding Hendrix's two sets at the Berkeley Community Theater on 30 May, 1970, including the student demonstrations of the time. The new edition has been updated to include previously unreleased footage of the guitar legend's performances of Voodoo Child (Slight Return), Machine Gun and Hear My Train A Comin, as well as unseen documentary scenes. 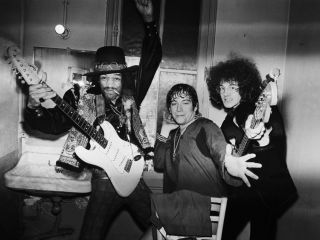 In addition, the film soundtrack has been mixed by Hendrix's own sound engineer Eddie Kramer in 5.1 surround sound, with the involvement of Abe Jacob, the engineer for the 1970 Berkeley shows. The DVD and Blu-Ray release will also come complete with a 67 minute audio disc, featuring the entire second set from the night, again, mixed in 5.1 surround sound. This second set will also be released on heavyweight vinyl and CD under the title Jimi Hendrix Experience: Live At Berkeley (The Second Set) and feature an essay by Hendrix historian John McDermott.